We recommend that you change your email password on a regular basis to enhance the security of your account. How often you update it is up to you, but most security experts recommend at least once every 90 days to 6 months. Remember that after changing your password, you also need to update any devices that access that account, like your desktop mail client, mobile devices, etc. Visit your webmail interface at https://webmail.yourdomain.com. 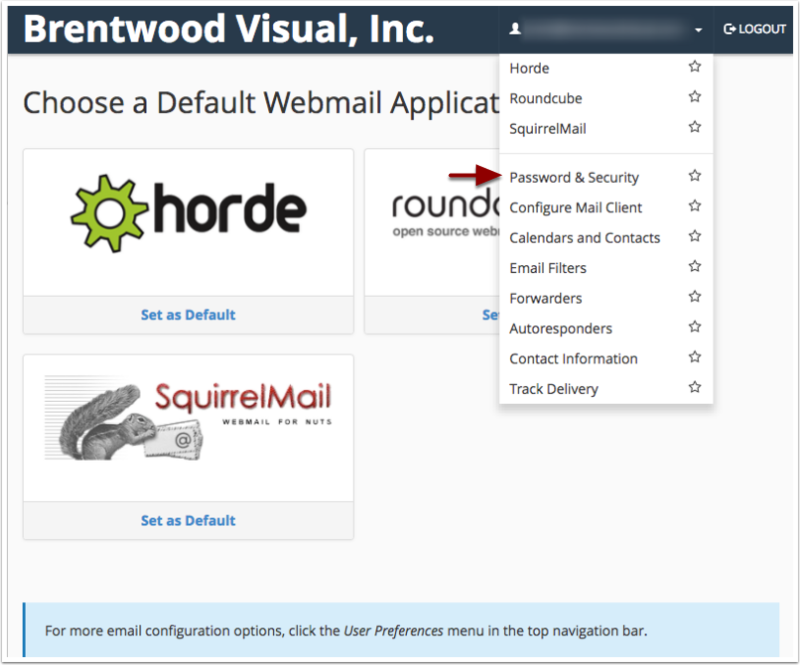 For our team at Brentwood Visual, that's webmail.brentwoodvisual.com. 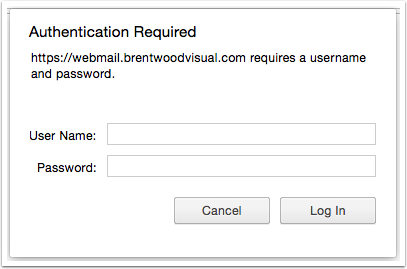 Login using your full email address (username@domain.com) and your existing password. This screen may look different depending on your account's setup, but for most of our users you'll click on your username in the top-right corner, then choose Password and Security. 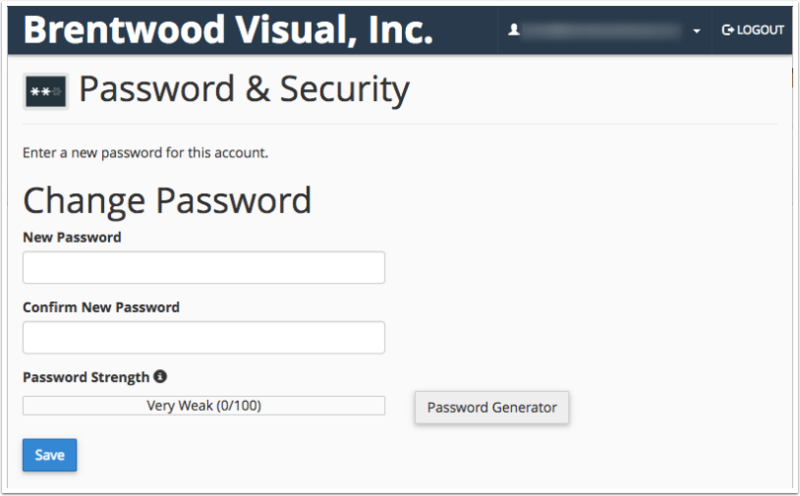 Use the interface to choose a new password, or (better yet) use the Password Generator to create a random, secure password. Don't forget to update your password manager and all devices that you use to access the account.